It is very important to have an idea about the pattern and difficulty level before appearing for any engineering examination. 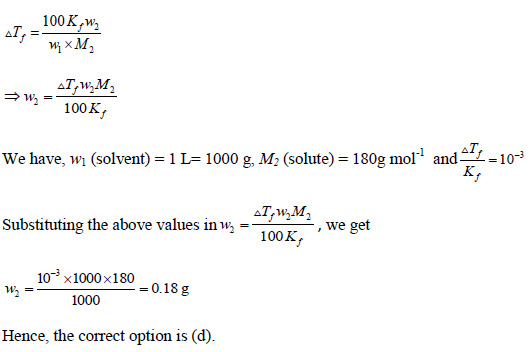 In this article, students will get UPSEE Solved Chemistry Question Paper of the year 2013. There are 10 questions (i.e., from question 31 to 40) in this article. The questions were from the chapters like Chemistry in Everyday Life, Solutions, Thermodynamics, Redox Reactions, Organic Chemistry, Alcohols, Phenols and Ethers. We are also providing the detailed solution of each question. This solved paper will help the students in their final level of preparation. It has also been seen that sometimes questions are repeated in UPSEE Exam. Therefore, the purple colour is due to HMnO4. 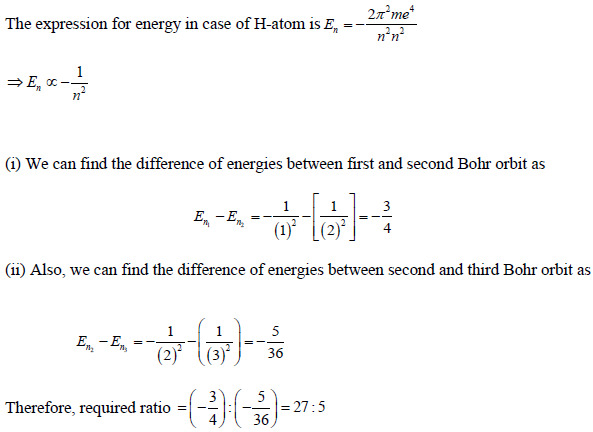 Which of the following pairs of ions cannot be separated by H2S in dilute HCl? 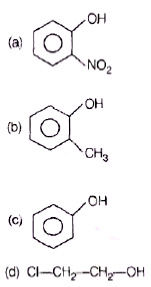 (a) Both Bi3+ and Sn4+ are present in second group and are precipitated by H2S in dil. HCI as Bi2S3 and SnS2. Hence, they cannot be separated by H2S in dilute HCI. (b) Hg2+ is precipitated by H2S in dil. HCI as HgS while Al3+ is not precipitated. 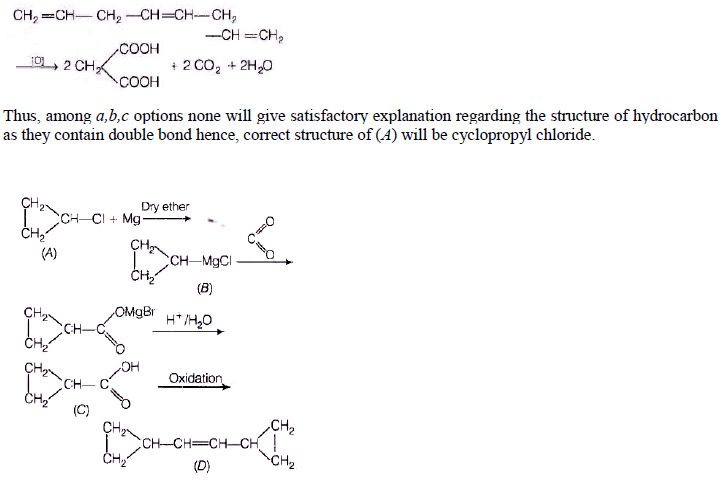 (c) Cu2+ is precipitated by H2S in dil. HCI as CuS while Zn2+ is not precipitated. (d) Cu2+ is precipitated by H2S in dil. 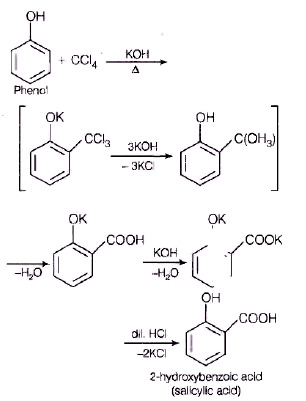 HCI as CuS while Ni2+ is not precipitated. But the number of unpaired electrons of Ni2+ in [Ni (CN)4]2− ,Ti4+ in TiCI4 and Co2+ in [COCI6]4− are 2, 0 and 3 respectively. Which of the following is bacteriostatic? A drug which kills the organisms in the body is known as bacteriocidal drugs. penicillin, aminoglycoside (streptomycin) and ofloxacin. 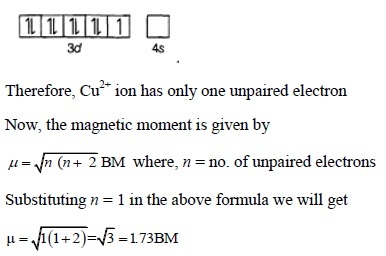 Which of the following statement is true for X? 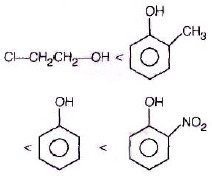 (a) Salicylic acid gives effervescence with NaHCO3, which is a characteristic feature of carboxyiic acid. 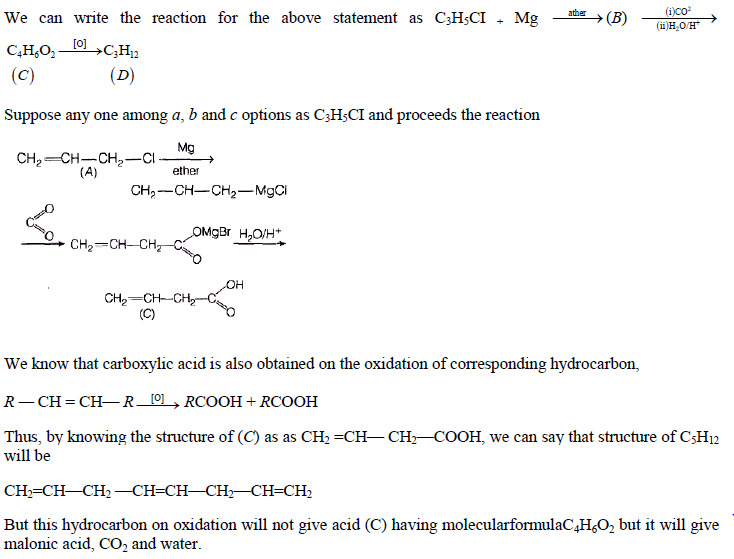 Thus, it ensures the presence of a carboxylic group in it. 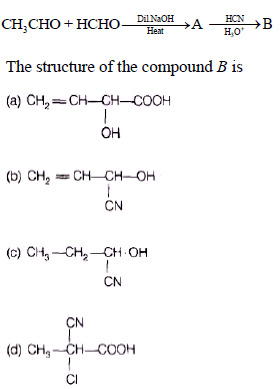 (b) Since, it doesn't have aldehydic group. Hence, it doesn't give silver mirror with Tollerrs reagent. (c) Since, it contains enol group i.e., =C—OH group. Hence, it gives red colour with neutral FeCl3. 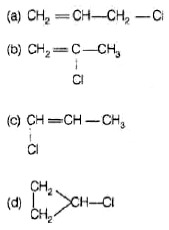 Which of the following compounds is most acidic? 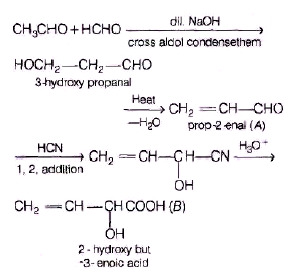 The compound B will be 2-hydroxy but -3-enoic acid.